I always get thrown off when Easter is in March and it seems like I am rushing at the last minute to get all of my Easter goodies together. Not this year though, I am prepared and I have already started coming up with fun recipes to take with me to our annual Easter Egg hunt. 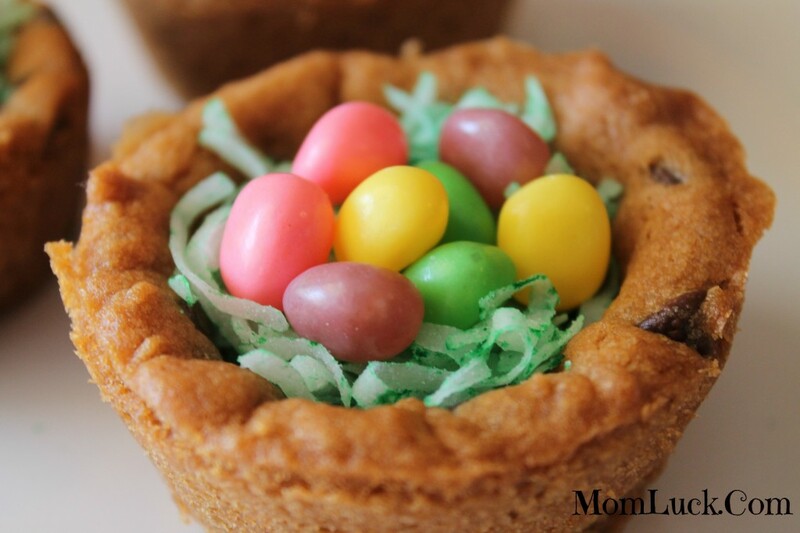 Nestle has some scrumptious goodies that have helped me come up with the perfect dessert for both kids and adults, the Cookie Easter Basket. 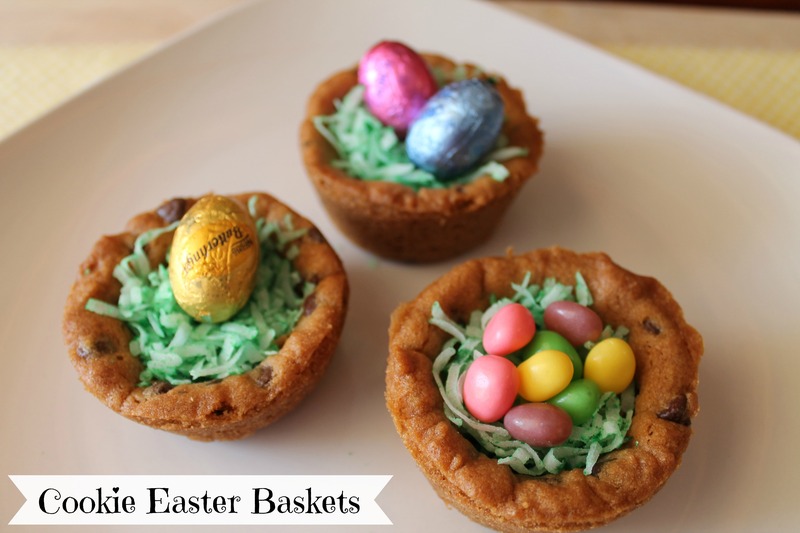 These baskets are easy to make and taste so good but best of all, they are very festive. 1. Preheat oven to 350 degrees F, or whatever the directions say on the cookie package. 2. Using a cupcake pan, take about 1/4 cup of cookie dough and place it inside of the cup. You want to make sure that you press the cookie dough evenly onto the sides and bottom of the pan. 3. Cook the cookies for about 14 minutes, let cool completely. 4. After the cookies are cool, carefully remove the cups from the pan and place on a cooling rack. 5. In a Ziploc bag add your coconut. Place a few drops of green food coloring into the bag. Zip the top and shake vigorously until all of the coconut is colored. You can add more to get the color of green you desire. 6. Place enough coconut inside the cups to reach the top. 7. Place your candy on top of the coconut. We used Nestle Crunch and ButterFinger Eggs and Laffy Taffy Jelly Beans. My kids just loved these and have asked me twice this week to make them again. These are really fun to make and you can switch the toppings up however you like. 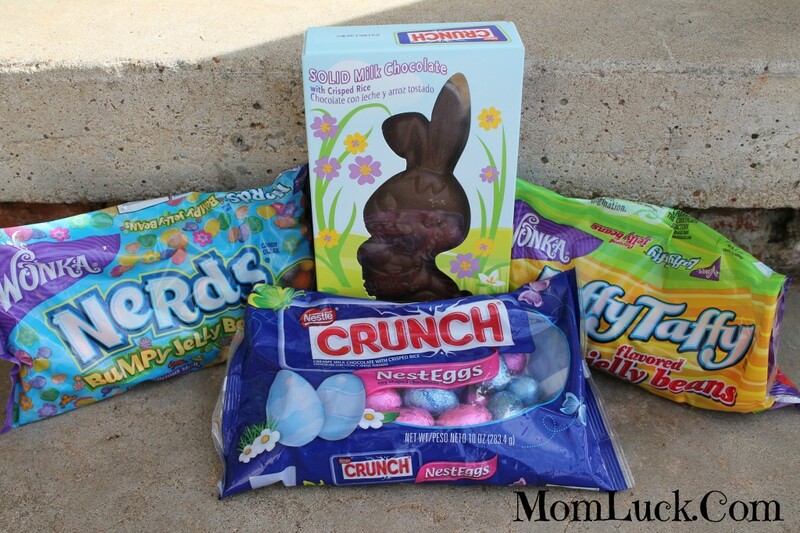 Nestle has a great variety of candies and chocolates to choose from and to help you fill those baskets up. They also offer convenient, fun and inexpensive products to help us busy moms out. 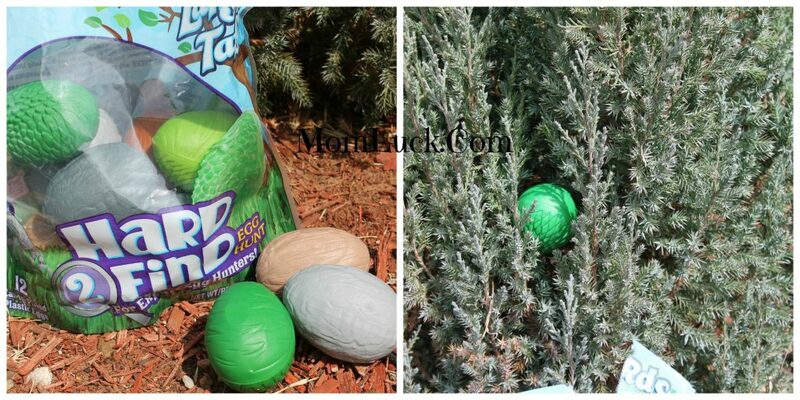 I have at least 3 egg hunts where I have to bring candy filed eggs. Instead of having to fill them myself, I normally grab a bag or two of the Wonka candy filled plastic eggs that are already filled. This year since Jeremy is a little older he will really get a kick out of hunting for the Hard 2 Find Eggs that are harder to find than the bright colored eggs. You can find all of these Nestle products in stores. *I received Nestle Samples for my recipe. All opinions expressed are my own. The Laffy Taffy jelly beans are AMAZING! Those look pretty easy to make and they are oh so cute! These look SO CUTE! I just pinned them! These cookie baskets look adorable and I am totally feigning for candy now! How cute! I’m also thrown off with Easter being a) on our spring break and b) in March! YUM! I love cookie anything. Those little Cookie Easter Baskets are just too darn cute. How stinkin cute?!? I have to try making these with my toddler and niece! I made these, super easy! !